in Media Planning & Buying with tags AOL, digital content, Digital Content NewFronts, hulu, MSN, newfronts, online video, xbox, yahoo, YouTube Both comments and trackbacks are closed. 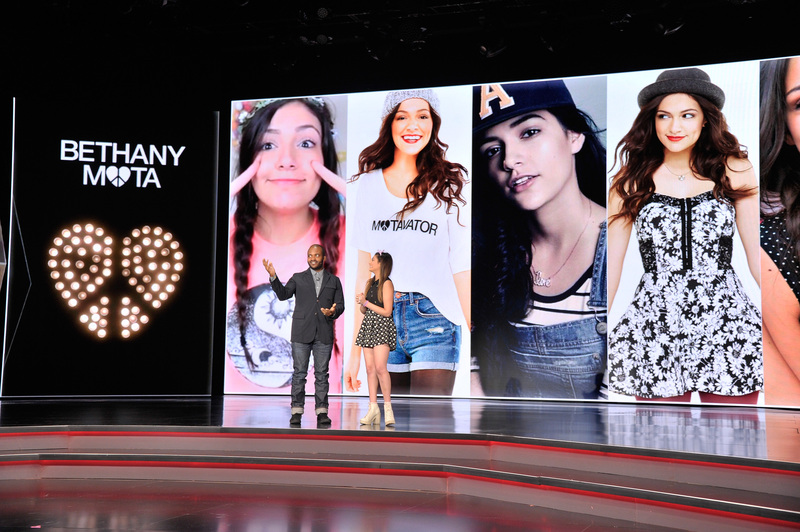 The Digital Content NewFronts launched five years ago with the aim of bringing together all sectors of the branded content (namely video) and distribution sphere and to inspire buying demand similar to that of its TV Upfront sibling. The 2014 event – which has blossomed to include 20+ publisher participants – has made good on this mission with celebrity-backed events, a diversity of offerings and tech developments galore. Our team was on the ground for Week 1 events from all of the founding publisher partners as well as that of newcomer BuzzFeed. For the first time ever, the events will continue into this week, through May 7. Read on for our highlights from the first week of action. 1) The strength of the NewFronts palette was in its diversity of offerings. There has been a lot of discussion around who had the “best” NewFront presentation this year; however, more resonant than any individual player was the collective force of the NewFronts. Each participant brought a unique flavor of content to the mix that represented digital’s growing role in the video consumption landscape, and what sets it apart from the more stabilized TV space. Models (packaged premium vs. programmatic), formats (shareable vs. consumable) and distribution options (connected devices) varied across the board, giving marketers the flexibility they crave in the digital marketing era – and doing so in a much more streamlined and simplified manner than was the case in earlier years. MSN touted its MSN Live subscriber base of 40 million, which uses login gates to facilitate end-to-end trackability. AOL announced that all of its AOL On original content would be traded on their Adap.TV programmatic platform (making premium compatible with programmatic), and added that all 16 new shows will receive ratings from Nielsen in a format that TV buyers could seamlessly integrate. Yahoo! emphasized their partnership with comScore that will enable access to vCE audience-validation metrics against all video (in addition to display and eventually mobile) beginning this summer. YouTube also announced deals with comScore and Nielsen that bridge audience measurement from TV to digital. 3) Digital yields ubiquitous distribution. In light of consumer behavior, which demonstrates an increasingly fragmented approach to video viewership, many of the NewFront participants called out the seamless integration of their content across all possible screens. Hulu, for example, noted that viewers can see their content across 3,000 types of connected devices. Likewise, Yahoo! summarized its approach as allowing people to watch content “where and when [they] want it” – and AOL echoed this notion by building their entire program around the credo that content should be “connected” across all spaces and devices. The ubiquity of content is one area in which digital appears to have an upper hand on TV, as consumers increasingly abandon traditional viewing routes for digital pathways. Below are the key takeaways for marketers in light of the 2014 NewFronts. Digital video content spans macro (long-form) to micro (social-based). Aligning with AOL’s depiction of digital video content as fitting a broad spectrum of possibility, the 2014 NewFronts reinforced an ever-expanding definition of what the industry deems as “fitting” of a NewFront showing. Buzzfeed’s addition to the mix was the first significant contribution of a partner in what we now refer to as the “shareable video” space – something that we can only expect to grow over time. Google also made claim to this more interactive side of video, and the relationship it yields between their consumers and creators. Yes, long form and episodic video content was pervasive throughout the NewFronts, and we don’t anticipate that will fade so long as digital seeks to attract traditional TV advertisers (and their budgets). However, we believe this new category of video, which is inherently wedded to social, will flourish this year and marketers who crave virality will jump on board. Innovations in buying models help opportunities appeal to a range of advertisers. The development of “Google Preferred” – which aggregates YouTube’s top performing content channels and theoretically paves the way for Google to charge premiums against these buckets – as well as AOL’s move to adopt Nielsen’s TV ratings for its Originals and place them up for bid in the Adap.TV programmatic buying engine, signifies a bullish digital landscape that is willing to adapt their models to fit the needs of even the most scrutinizing buyers. Bottom line: The digital space is now more accommodating to the needs of advertisers that might not be comfortable with the long tail of video, or willing to sacrifice common buying standards. Upfront buying has made its way to the NewFronts. Past assessments of NewFront events pinpointed the lack of true “Upfront” buying that really occurred as a result no concrete scarcity model on par with TV. This year, nearly all of the founding NewFront partners shared some combination of client case study and/or real-time deals being closed against their programming content slate. Marketers should expect this to bolster the digital space’s efforts to migrate at least some of its video towards a premium model, and CPMs to ultimately follow suit. Below we have included a simplified list of the top takeaways from each event – but from a big picture standpoint, the key takeaway for marketers is that for those who want to adapt their video content efforts to the digital environment, never before has there been a time when so much diversity of programming and distribution streams were available. Channel “line ups” – categorized into themes such as sports, music, food, etc. That’s Racist: Actor/Comedian Mike Epps unearths the history of racial stereotypes and jokes in one of AOL’s more provocative Originals. Connected: AOL’s first long-form content series depicts five unrelated strangers and an inside peak into their NYC lives. Deadbeat: This offbeat original comedy series is already running with much acclaim, and features Tyler Labine as a ghost whisperer of sorts. Possibilia: This original program launches on XBOX in June and presents a “choose your own adventure” experience in which viewers can select their own ending by tapping into XBOX interactive capabilities. Other Space: This original full length series is directed by Paul Feig of “Bridesmaids” fame. Sin City Saints: Mike Tollin (producer) and Bryan Gordon (director) team up for this reality-oriented program showcasing the new Las Vegas basketball team.